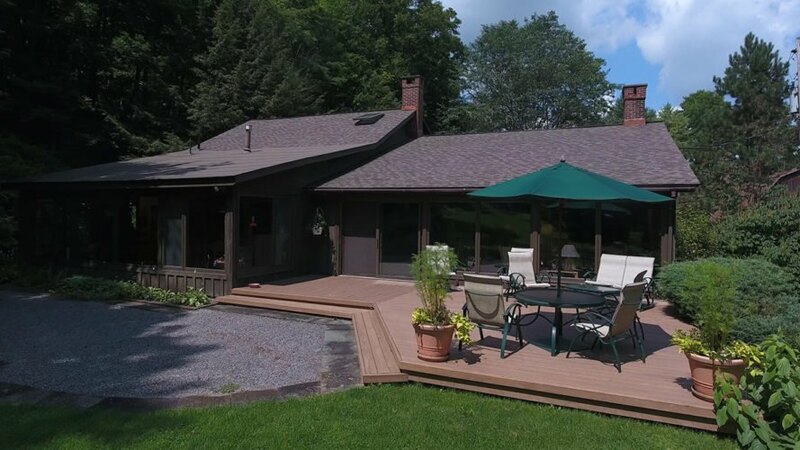 If you’re on the market for a beautiful home that allows you to get up close with nature, then you might want to check out this piece of property on the market in upstate New York. Delphi Falls, located near Cazenovia, NY, features more than 60 acres of land that include two waterfalls, a creek and luscious woodlands. It’s basically your own slice of paradise in New York. The rustic wooden home was built in 1945 and is 3,500 square feet with four bedrooms and three baths. 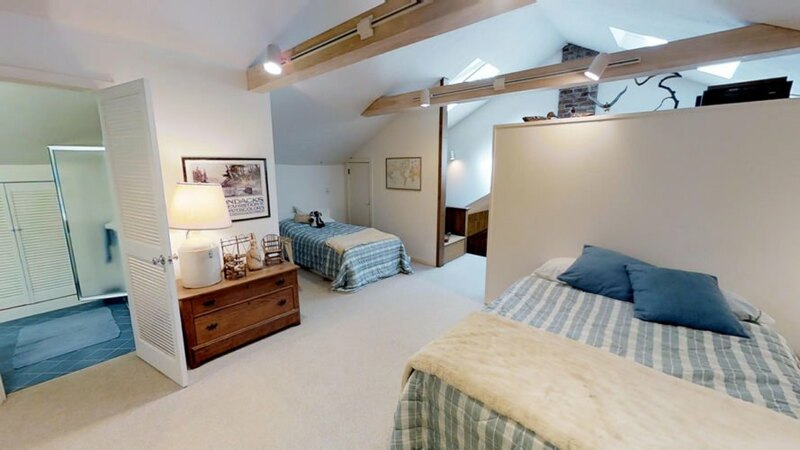 The master bedroom suite on the first floor holds a jacuzzi and fireplace, to keep warm during those lake effect winters upstate New York is known for, and two additional bedrooms share another full bath. Because one master bedroom just isn’t enough for a property of this magnitude, there’s another one on the second floor. The living room also has a fireplace as well as a wall of glass and outdoor decking both facing the onsite waterfalls. The open layout kitchen also faces the waterfalls so you can get in touch with the great outdoors while preparing your meals. 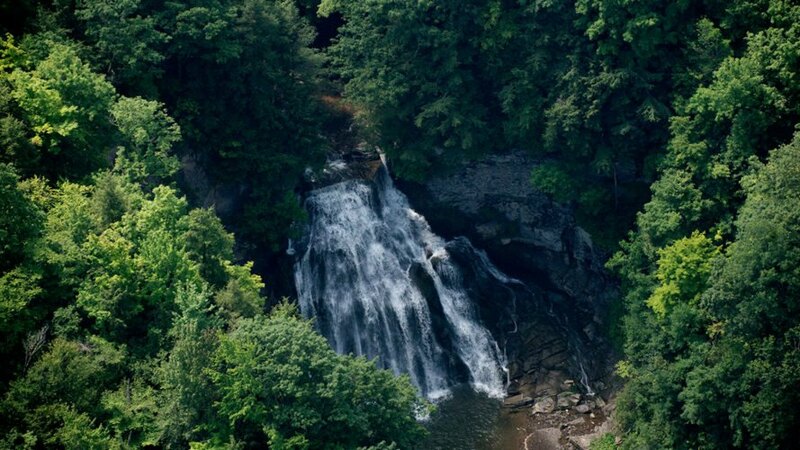 The spectacular waterfalls are 65-feet and 52-feet high. A 2,500-square-foot barn and cottage in the woods are included in the 66.27 acres along with a mile of creek. To take advantage of all that water running through the property, a hydro power system that can generate 35 to 75 KW has been installed. To view the entire listing as well as photos of the exterior, interior, aerial shots and historical images, visit waterfallsforsale.com. 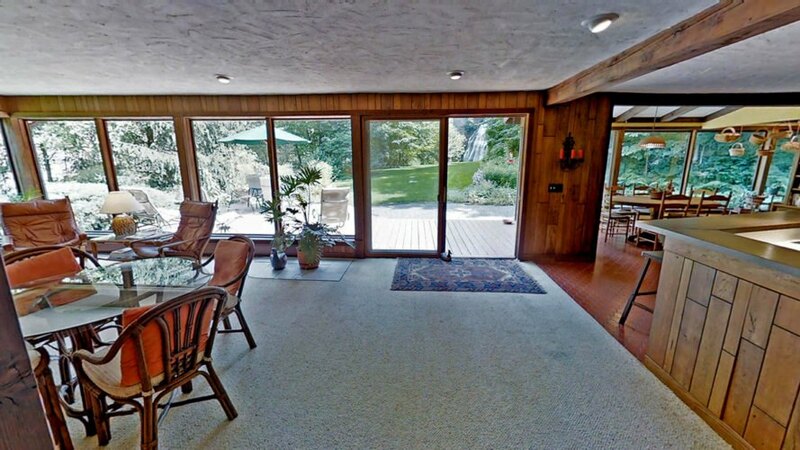 If you’re on the market for a beautiful home that forces you to get in touch with nature, then you might want to check out this piece of property that just went on the market in upstate New York. Delphi Falls, located near Cazenovia, NY, features more than 60 acres of land that include two waterfalls, a creek and woodlands. The rustic wooden home was built in 1945 and is 3,500 square feet with four bedrooms and three baths. The master bedroom suite on the first floor holds a jacuzzi and fireplace, to keep warm during those lake effect winters upstate New York is known for, and two additional bedrooms share another full bath. Because one master bedroom just isn’t enough for a property of this magnitude, there’s another one on the second floor. The living room also has a fireplace as well as a wall of glass and outdoor decking both facing the onsite waterfalls. The open layout kitchen also faces the waterfalls so you can get in touch with the great outdoors while preparing your meals. The first floor master bedroom features a fireplace, full bath and jacuzzi. The first floor master bedroom bath. The views in this house are unparalleled. 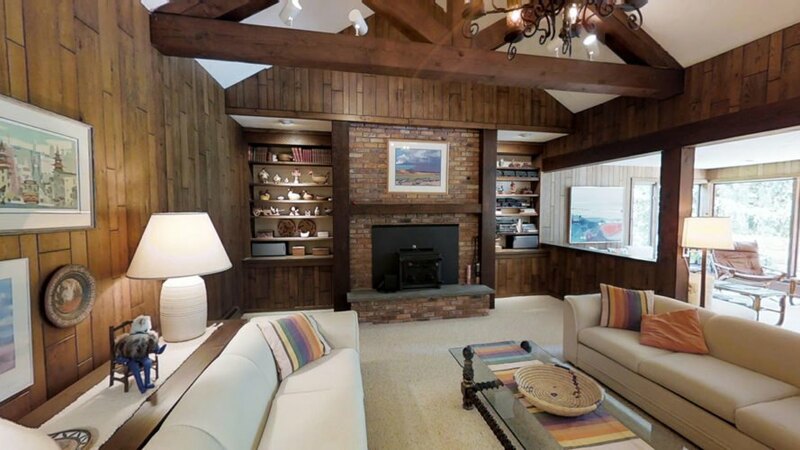 The rustic home features wood paneling throughout the living spaces. One of the bathrooms located on the first floor. A work space on the first floor can also be used as another bedroom. A bedroom on the first floor. The view from the main entrance. The waterfalls can be seen through the glass doors in the living room straight ahead. The TV room off the foyer. One of the two fireplaces in the home. The living room and kitchen, which look out at the waterfalls. The living room and kitchen. The second level master bedroom with a full bath and shower. The second level master bedroom. The property would be a magnificent place to host friends and family. The listing also contains historical images of the waterfalls. The spectacular waterfalls are 65-feet and 52-feet high. A 2,500-square-foot barn and cottage in the woods are included in the 66.27 acres along with a mile of creek. To take advantage of all that water running through the property, a hydro power system that can generate 35 to 75 KW has been installed. So what’s the asking price for this slice of heaven? Oh, just a mere $925k for the entire property.